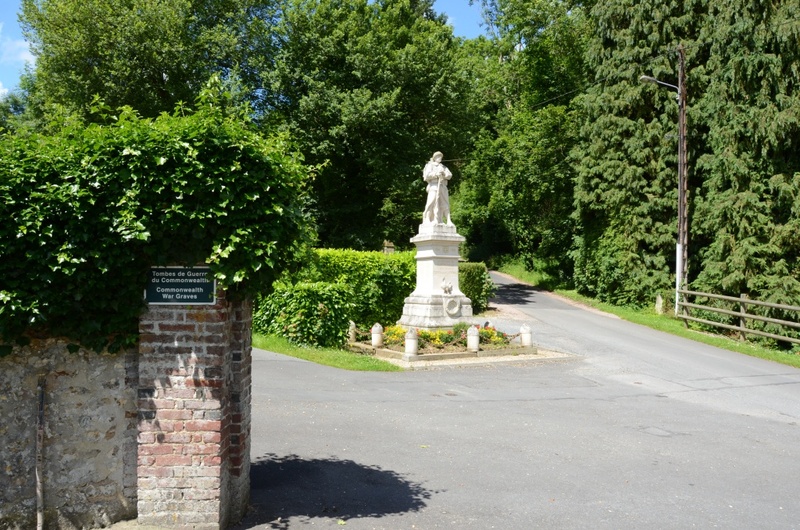 Quetteville is a village and commune 23 kilometres north-north-east of Lisieux, 17 kilometres east- south-east of Deauville and 10 kilometres north-east of Pont l'Éveque. 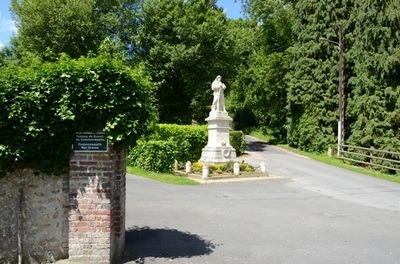 The village is about nearly a kilometre north of the main road from Pont L'Eveque to Beuzeville. The Cemetery is near the church. 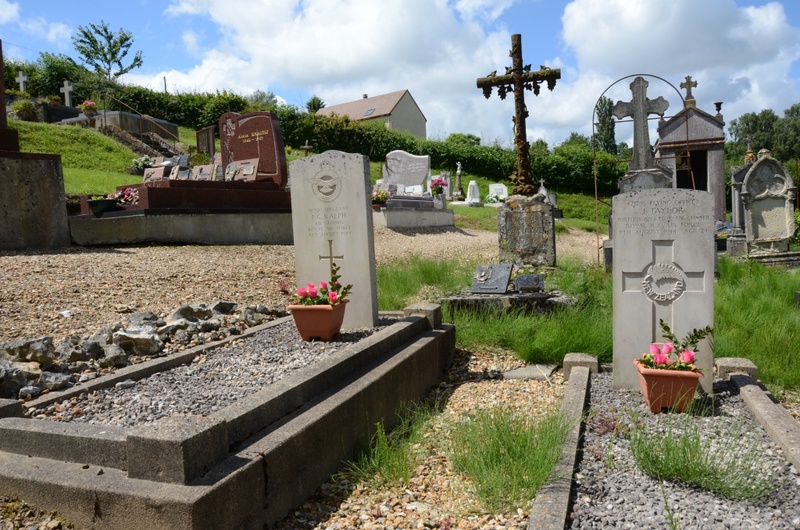 There are 2 Commonwealth burials of the 1939-1945 war here, near the eastern boundary, 15 yards south-east of the crucifix. 910510 Sergeant Frederick George Ralph, Air Gunner in 106 Squadron, Royal Air Force Volunteer Reserve, died 8th August 1944. 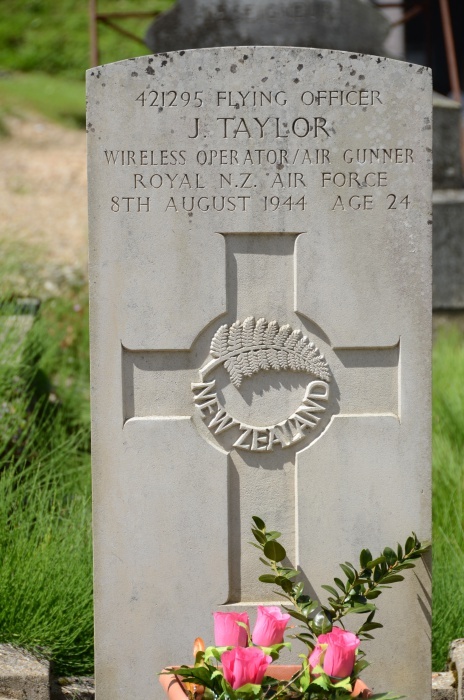 421295 Flying Officer Jack Taylor, Wireless Operator/Air Gunner in 106 (R.A.F.) Sqdn. 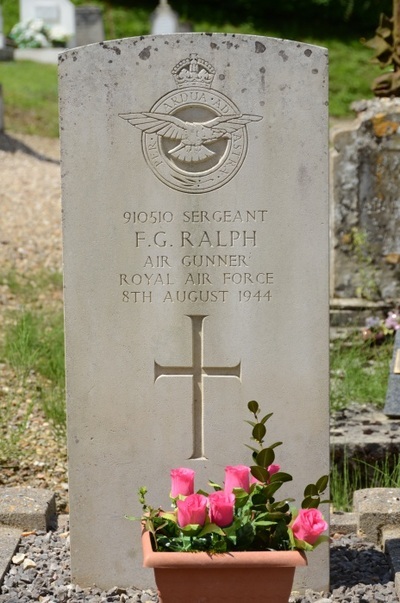 Royal New Zealand Air Force, died 8th August 1944, aged 24. Son of Reuben Eastwood Taylor and Nellie Taylor, of Matangi, Auckland, New Zealand.